VAIL, Colorado – There’s plenty of nature for kids to touch, feel and experience at America’s highest botanical garden. 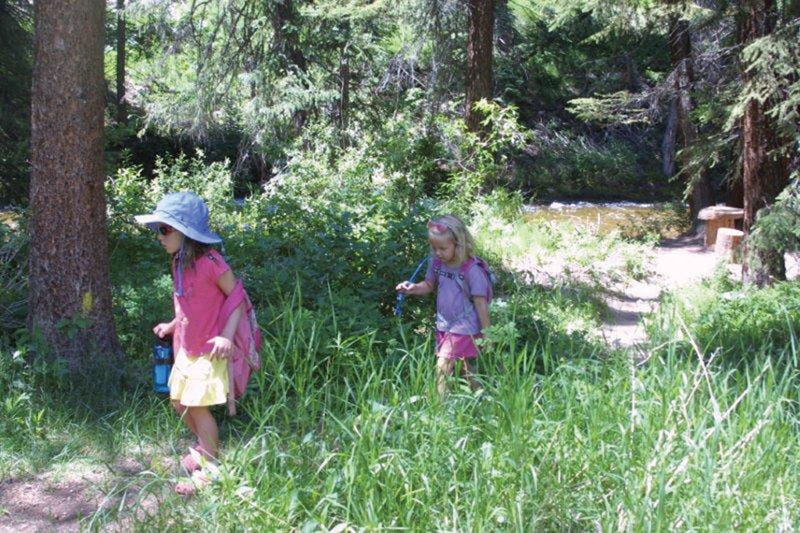 Betty Ford Alpine Gardens invites kids of all ages to experience the Back to Nature Trail, a network of primitive footpaths, features and activities in the natural riparian environment along the banks of Gore Creek, in Vail’s Ford Park. The area provides a safe and quiet place for children to play freely and flex their youthful imaginations. The concept is inspired by “Last Child in the Woods: Saving Our Children from Nature-Deficit Disorder,” by Richard Louv, who’s started a movement of sorts advocating the benefits Mother Nature can have on children. Louv directly links a profound lack of nature in the lives of today’s “wired generation” to some of the most disturbing childhood trends, such as the rises in obesity, attention disorders and depression. Specific reasons for kids to spend time in nature, says Louv, include reduced stress and risk of depression; increased creativity and imagination; and heightened sensory skills and awareness of surroundings. Open dawn to dusk along the banks of Gore Creek, the Back to Nature Trail is located between The Schoolhouse Gift Shop and Museum and the covered bridge at Manor Vail. In addition to a picnic area with tables, there are several stations at which Gardens staff members provide natural objects and props that promote sensory enrichment and appreciation of the great outdoors. • The Children’s Garden, designed to simulate habitats ranging from the valley floor at 8,200 feet above sea level to the highest peaks of the Gore Range, at more than 13,000 feet. • Junior Naturalist Program, a joint venture with the Gore Range Natural Science School, Vail Recreation District’s Nature Center, the Colorado Ski Museum and the White River National Forest Service. • Learn N’ Grow, educational classes for children ages 5 to 10 offered on Wednesdays. • Back Pack Program, in which children check out a backpack filled with interactive discovery ideas. • Gardener’s Tool Shed, offering kid-friendly tools for use to play in the soil. For more information, call 970-476-0103 or visit http://www.bettyfordalpinegardens.org.